Ice is kept solid at a temperature below 0 degrees C., or 32 degrees F. It begins to melt when the temperature rises above these levels and the air moves around it. You can keep the ice's core temperature lower by insulating it. Pack a variety of substances around it, such as dry ice, liquid nitrogen, sawdust, a blanket, wood or Styrofoam. 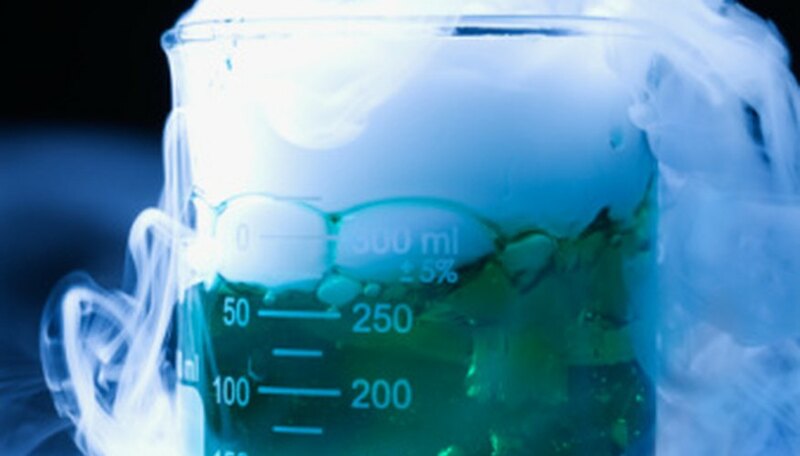 Dry ice, or solid carbon dioxide, can be stored with ice to keep it cooler. This is useful during transport or in warm weather. Carbon dioxide is a heavy gas and can pool in low areas. When using dry ice, keep the area well ventilated. Dry ice is much colder than regular ice, but using a small amount should not pose any health risks if you handle the dry ice with insulated gloves, avoid direct inhalation of the gas and do not consume the dry ice. Liquid nitrogen is an extremely cold chemical, about -200 degrees C. under normal atmospheric pressure. It instantly freezes any cells it comes into contact with, drying them out. This causes the cells to break apart. For example, liquid nitrogen is used to freeze warts, causing their cells to dry out and fall off the person's skin. Spray liquid nitrogen onto the ice to make the cells colder, slowing the melting process. Handle liquid nitrogen with care, wearing cryogenic or leather gloves, a safety mask and goggles. 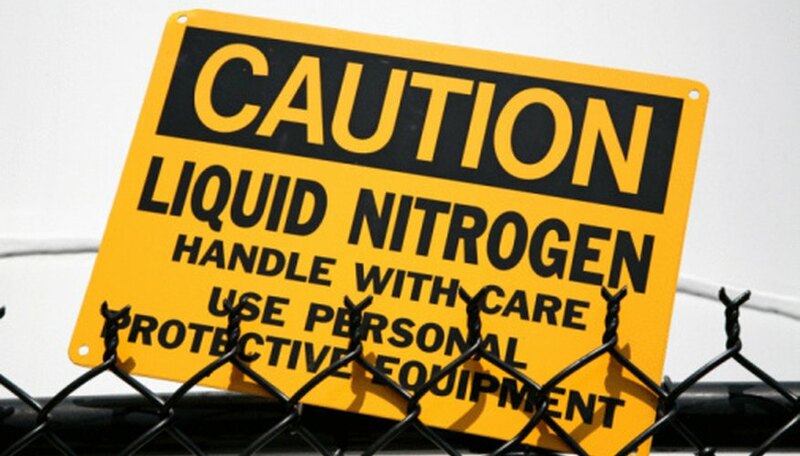 Properly dispose of liquid nitrogen in an approved container, such as a Thermos. General insulation of the ice causes it to melt slower. Wrapping it in wool, Styrofoam or wood contains the cold air emitting from the ice, keeping the temperature of the ice low. 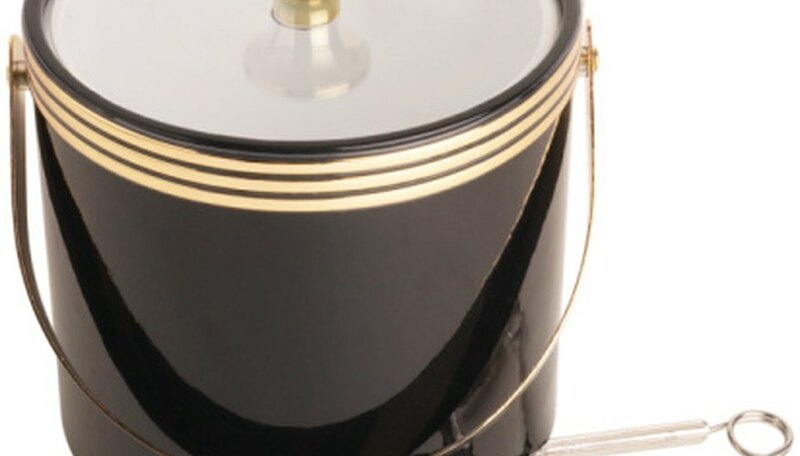 Putting the ice in a vacuum, such as a vacuum-insulated Thermos bottle, also prevents the ice from melting quickly. If no air is moving around the ice, it cannot warm with the atmosphere and melt faster. 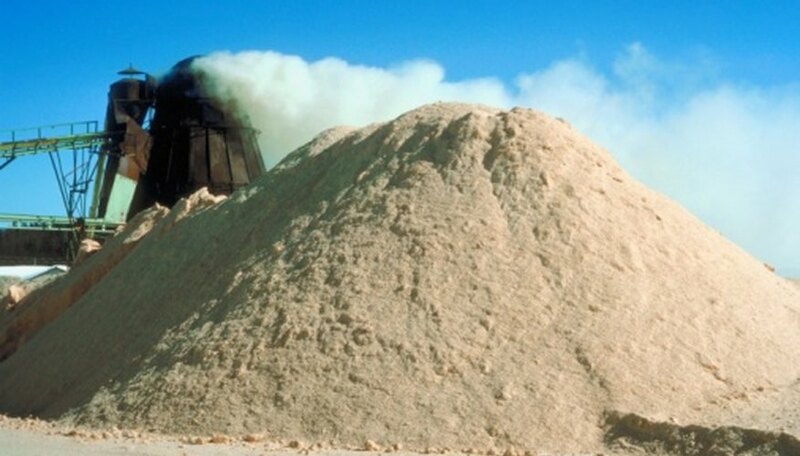 Sawdust is one of the oldest methods used to insulate ice. In the early 20th century, people built ice storehouses with sawdust in the walls and ice packed in the center. You need 8 inches to 12 inches of sawdust to prevent air from getting to the ice. Put a piece of material or plastic between the ice and sawdust to keep it clean. If sawdust gets on the ice, brush it off and pour on some water to clean it off. Horky, Allison. "What Substances Make Ice Melt Slower?" Sciencing, https://sciencing.com/substances-make-ice-melt-slower-8610839.html. 25 April 2017.